Two players amass electoral votes to become the leader of the free world. 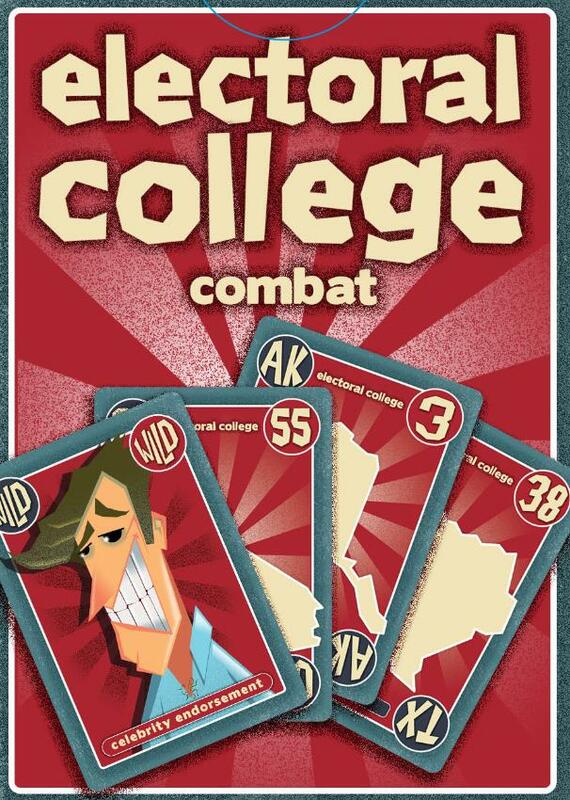 Electoral College Combat includes 50 state cards plus Washington DC and five wild cards. Win states while navigating Russian collusion, celebrity endorsements, recounts, swing states, and Fake News. When the chaos is over, the player with 270 electoral votes emerges President of the United States. Second prize? Hindsight and a book deal. Ghost writer available upon request. Click here for Electoral College interactive map.